A common need for dental implant therapy is the replacement of a molar tooth. This can be from trauma to a failed root canal. Today, most patients desire to have a tooth replaced immediately. 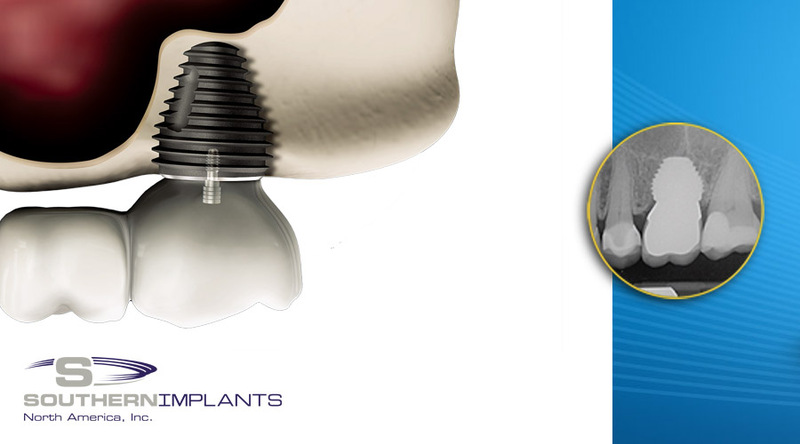 Have you tried the MAX Implant by Southern Implants for extraction sockets? The MAX implant design allows for primary stability, ability to avoid sinus lifts, and indicated for immediate placement in extraction sockets. Available in 7-9mm diameters and 7, 9 and 11mm lengths and as always with Southern Implants available with internal and external prosthetic interfaces.